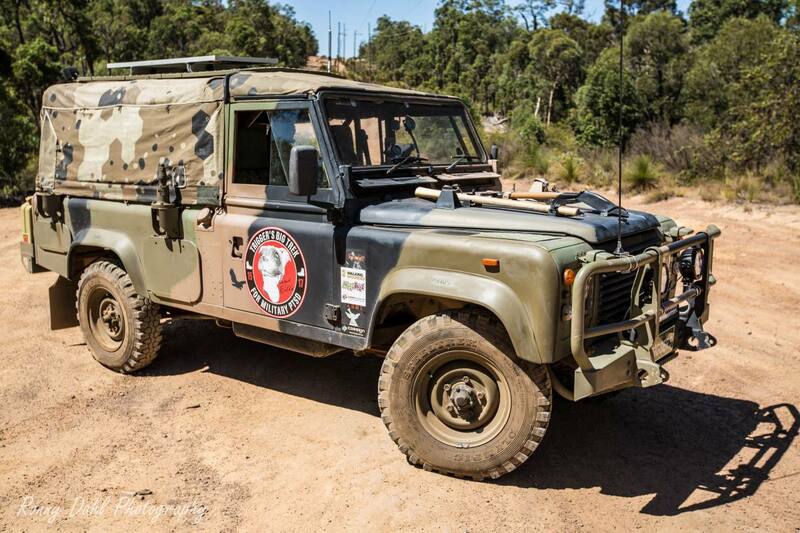 Army Land Rover Defender 110 On a mission to spread awareness for PTSD. 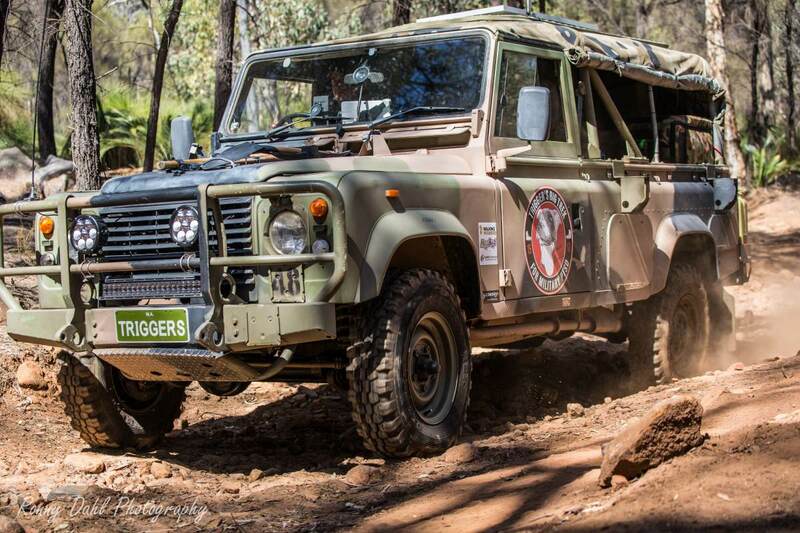 Army Land Rover Defender 110, Modified. 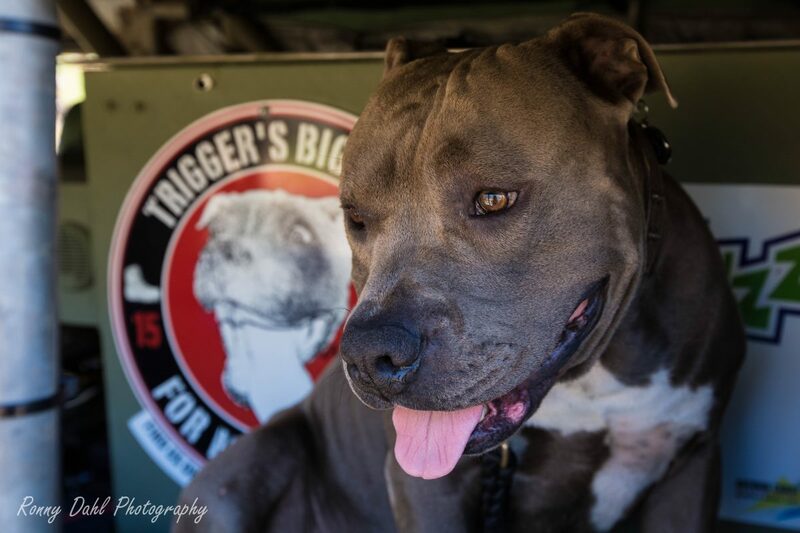 As mentioned in the video Royce and Trigger are on a mission, a mission to spread awareness for PTSD (post-traumatic stress disorder) which is something Royce is living with from his service days with the army in Afghanistan. 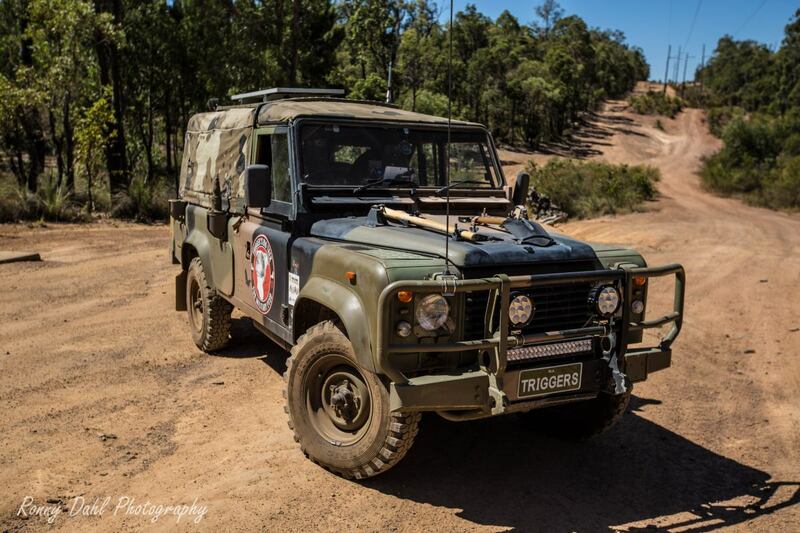 We had the privilege to check out his Army Land Rover Defender 110 on the actual day Royce and Trigger started their journey. 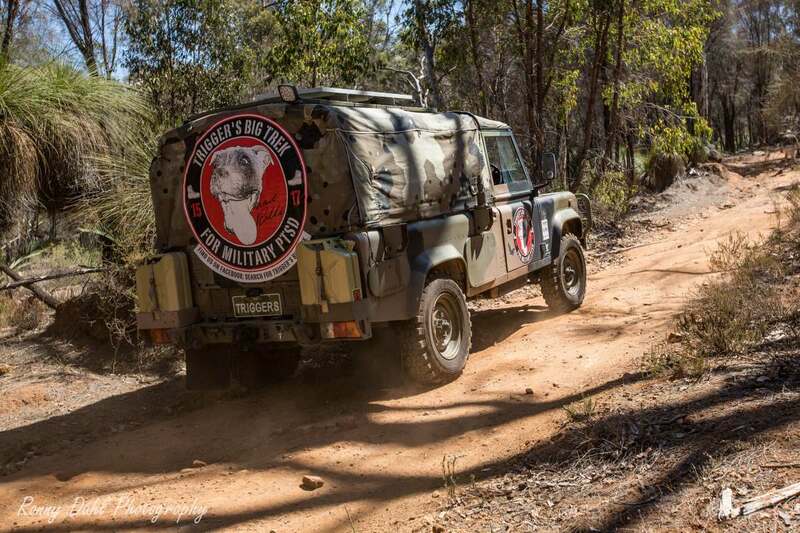 The pair of them will be living in this vehicle for however long it takes to circle Australia and spread awareness of PTSD. 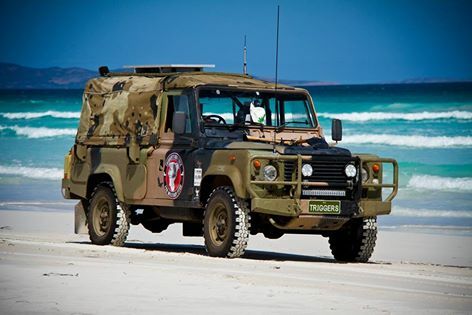 This vehicle is a prime example of a basic needs touring vehicle and shows what you can acquire from the army actions. 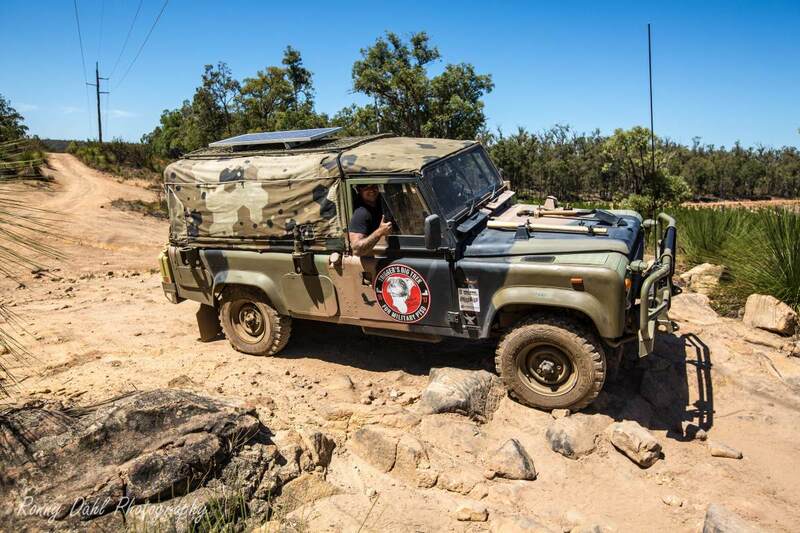 This army Land Rover is pretty much already setup from purchase and only a few cheap mods are needed to make it ready for recreational purposes or in Royce and Triggers case a life vessel for their mission. Electric upgrades: full red arc battery management system, 3x 120 amp batteries, (2 in the side tray and 1 under the passenger seat), fuse panel box with indication lights of blow fuses. Bar work and exterior mods: Army spec bull bar and rear bar with 4 points for lifting and recovery, 5mm bash plate under front bull bar. 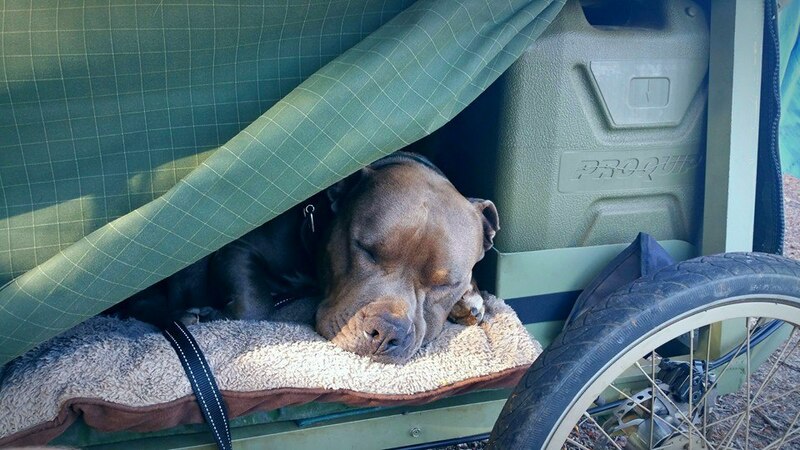 Back of the wagon: ready for a lap around Australia, sleeping area made for Trigger, Engel 40l Fridge, Camo canvas, over-head cargo net, custom box from the old cart. 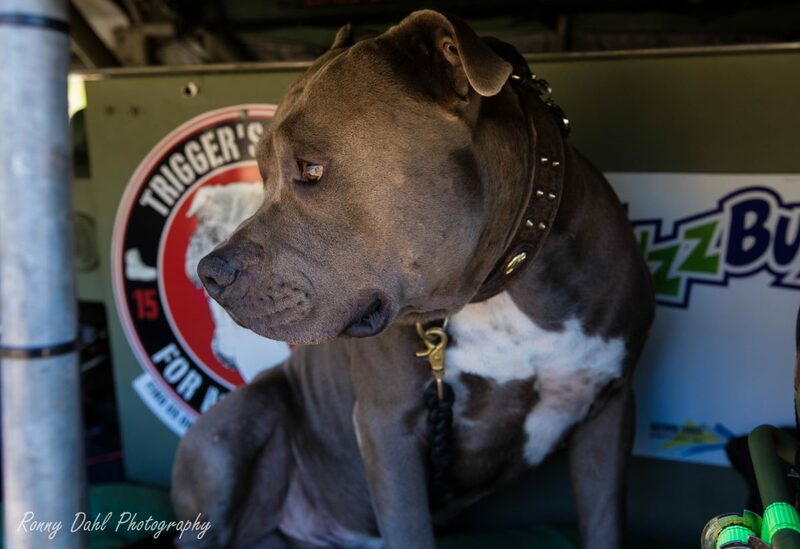 Since the modified shoot its been a few months and in that time Royce and Trigger have covered a fair few km’s. 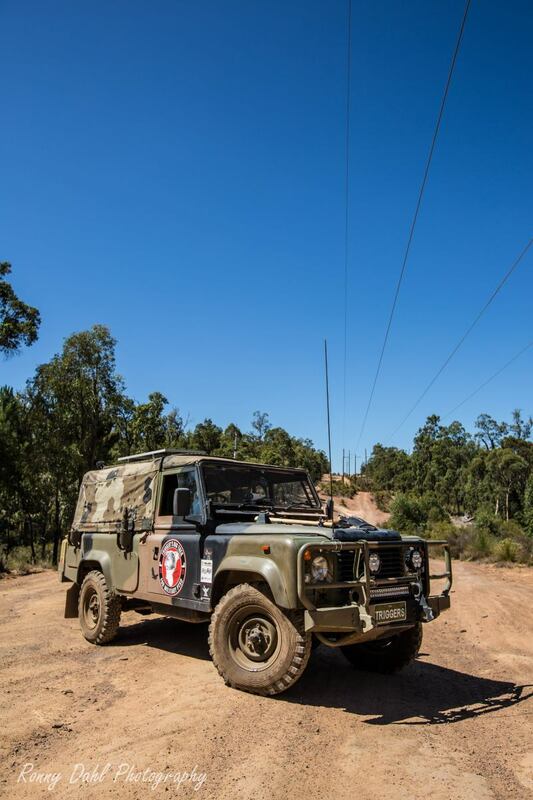 They have stopped in quite a few places along the way and recently (in April 2016) had an engine failure on the highway. 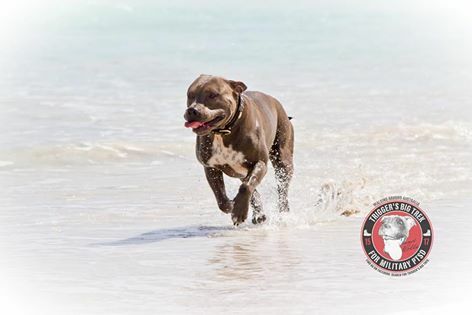 To see more of their journey see the links below. 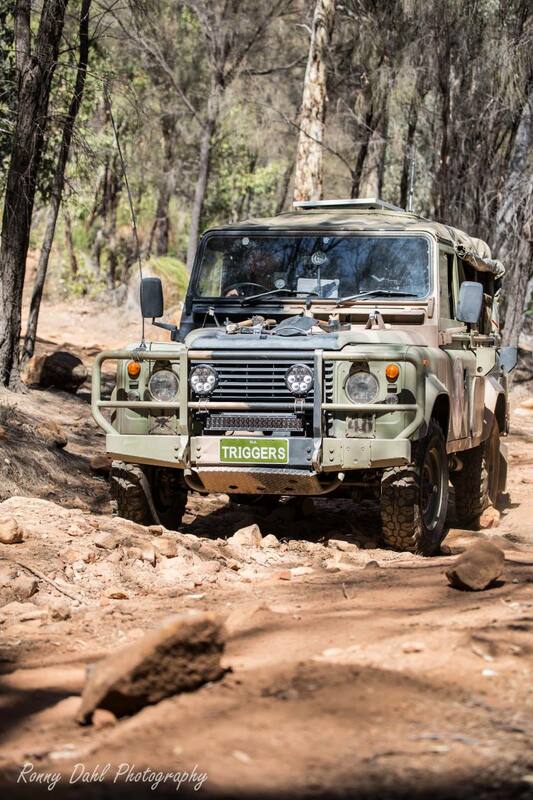 Leave Defender 110 And Go 4 Wheeling In Western Australia.